Anyone want a bit of Star Wars PS4 bundle action? Sony plans to release a Star Wars Battlefront PlayStation 4 bundle that will launch on November 17, with pre-orders starting soon. The custom bundle includes a customized PS4 console and DualShock 4 wireless controller. 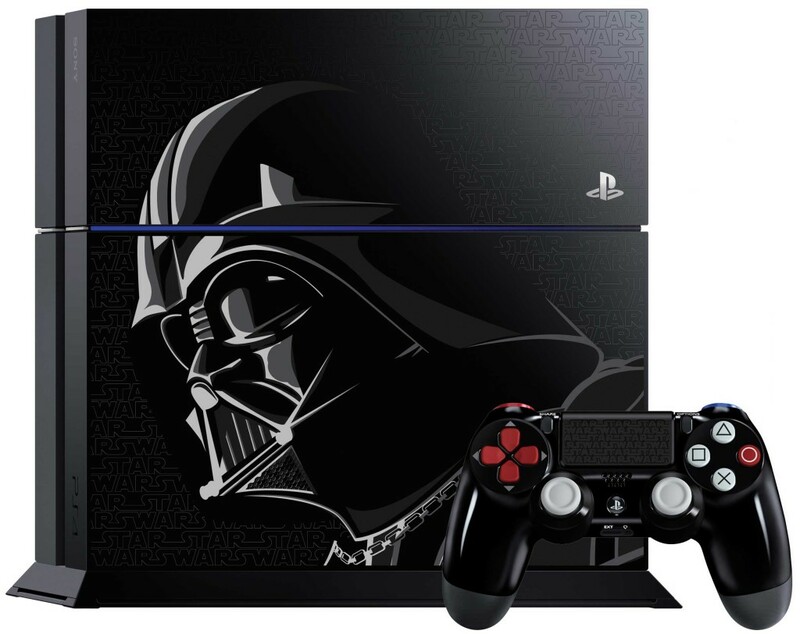 The PS4 has a Darth Vader image and Star Wars logo, and the controller features Darth Vader's chest panel and Star Wars logo on the touchpad. Gamers will receive the Star Wars Battlefront Delux Edition and downloads for the following games: Super Star Wars, Star Wars: Racer Revenge, Star Wars Bounty Hunter and Star Wars: Jedi Starfighter. Sony also will release the Disney Infinity 3.0: Star Wars 500GB bundle, featuring the PlayStation 4 Limited Edition, copy of Disney Infinity 3.0: Star Wars Edition, and will be available exclusively at Wal-Mart. In addition to the console, controller and games, will also include Luke Skywalker, Leia Organa, Boba Fett figurines and the Rise Against the Empire Play Set piece.